Here Dr. Chuck takes care of our pet’s teeth; keeping their mouths clean, healthy, and happy! Click here to learn about the basics of dog and cat dental care at home! Dog and Cat Dental Basics! Click here to learn about dental X-rays and how veterinarians look inside our pets teeth! 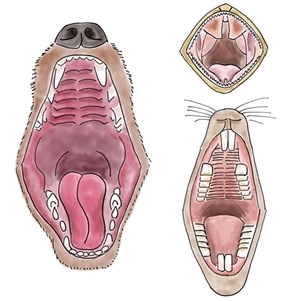 Click here to learn about all our pets’ different types of teeth!